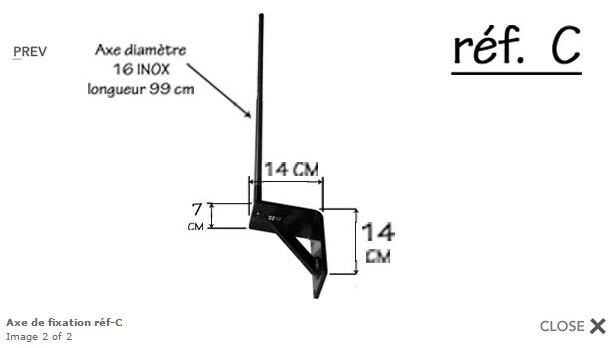 This weathervane metal roof is a high quality French manufacturing. 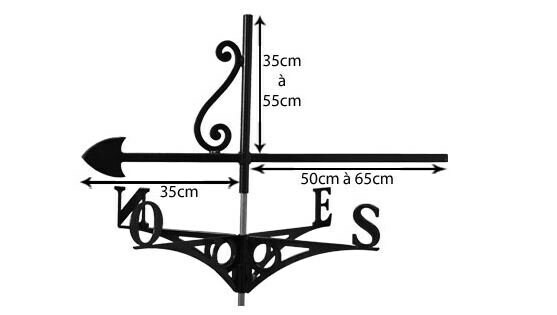 Easily make your dream to have a weather vane on your home. Thanks to technology (laser cutting, painting thermolaquee) you can put your rooftop weathervane original, beautiful and outstanding value. 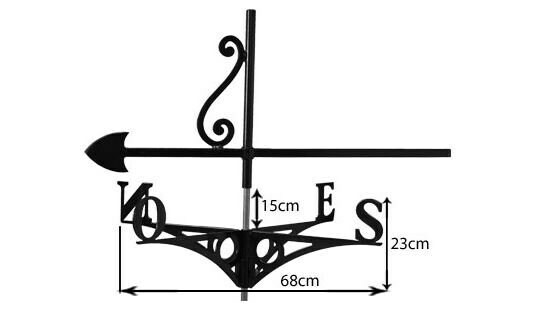 This weathervane with roof comes complete with its directions, its axis, its mounting bracket. the steel ball and his installation instructions. 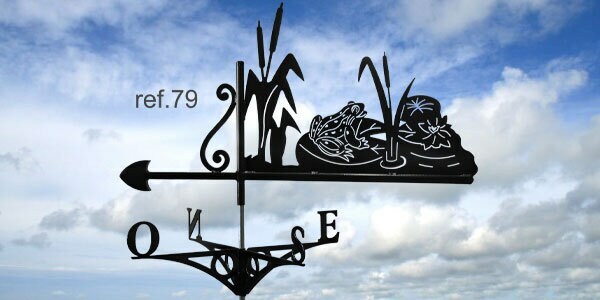 This Weathervane is not only decorative, it is also functional. It will show you the direction of the wind with great precision. Each roof Weathervane is balanced.